Autonomy Day, celebrated annually on June 29, is one of the public holidays in French Polynesia. Observation of this holiday is connected with the history of French colonization. The first Europeans visited preset-day French Polynesia in 1521, when Portuguese explorer Ferdinand Magellan sighted island Puka-Puka in he Tuāmotu-Gambier Archipelago. British and Dutch seafarers discovered other islands of French Polynesia during the next one and a half century. Society islands, Tahiti, Tahuata became French protectorate in 1842. In 1880 France changed status of Tahiti from protectorate to a colony. 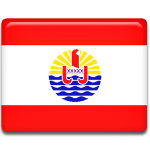 French Polynesia gained a status of French overseas territory in 1946. In 1977 it was granted partial internal autonomy. In 1984 autonomy was extended and finally in 2003 French Polynesia became a full overseas collectivity of France. However, Autonomy Day doesn't celebrate the day, when the islands were granted autonomy. It commemorates the day in 1880, when the last King of Tahiti signed a deal with France that led to annexation of the kingdom.